“Tell the Foreign Secretary about Berlin’s coat of arms….It shows the Bärlein, the Little Bear. If we push too hard, the big Russian Bear is going to squeeze the Little Bear until something goes pop.” It is 1948 and the Russian Bear has devoured Bulgaria, Romania, Poland and Hungary. In Czechoslovakia an underground, British-run resistance network is betrayed and wiped out except for a single survivor, the embittered professional agent George Orris. As the Russians turn a hungry eye on Berlin – and the Americans plan for what will become known as the famous Air Lift – Orris chooses the devastated and divided city as the battleground on which to unmask the traitor inside British Intelligence. 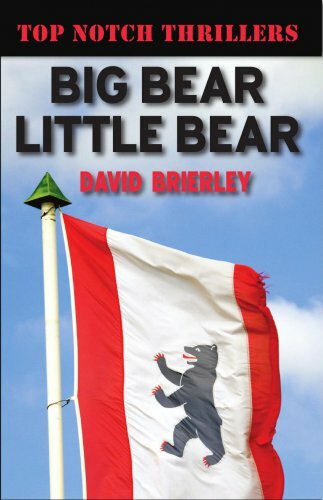 Big Bear Little Bear is David Brierley’s masterpiece of Cold War spy fiction. On first publication in 1981, The Sunday Times reviewed it as a: "Super-skilled graft of fiction on to history, spanning the fateful months from February to June 1948. Terse portraits of domestic Intelligence staff, bitter love among the ruins, powerfully painful denouement. Has the rancid strength of a distillation of the best of Le Carré and Deighton: an authentic winner."